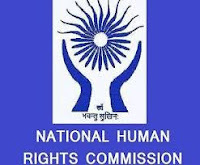 National Human Rights Commission of India is an autonomous public body constituted on 12 October 1993 under the Protection of Human Rights Ordinance of 28 September 1993. It was given a statutory basis by the Protection of Human Rights Act, 1993. Staff Car Driver: Candidates who have completed 8th Pass or equivalent from a recognized Institute for NHRC Recruitment 2018. Research Assistant: Candidates who have completed Bachelor Degree or equivalent from a recognized Institute for NHRC Recruitment 2018. Inspector: Candidates who have completed Working in State/Central Police Force/ Armed Force or equivalent from a recognized Institute for NHRC Recruitment 2018. Senior Research Officer: Candidates who have completed Master Degree or equivalent from a recognized Institute for NHRC Recruitment 2018. Research Officer: Candidates who have completed Master Degree or equivalent from a recognized Institute for NHRC Recruitment 2018. Sr. Research Assistant: Candidates who have completed Master Degree or equivalent from a recognized Institute for NHRC Recruitment 2018. Assistant Registrar: Candidates who have completed Degree in Law or equivalent from a recognized Institute for NHRC Recruitment 2018. Eligible & Interested candidates can download the Notification & Application form on the Official website page at www.nhrc.nic.in NHRC Recruitment 2018.